Looking for rural privacy on almost 3 acres? Look no further. This rustic beauty is less than 15 minutes from Lincolnton, Denver, and Gastonia. 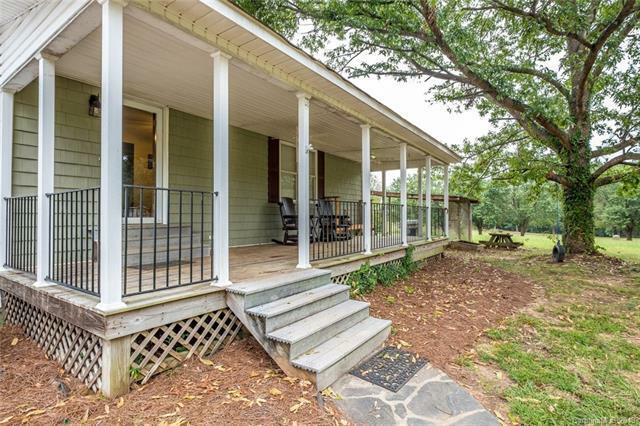 This home includes a beautiful front porch and a cast iron wood stove. New HVAC system installed in 2016 and new roof installed in 2014. There are several outbuildings on the property. The interior has been recently painted. Nice hardwood floors throughout the home. Sellers are offering a Home Warranty. This is a very unique home out in the country. Its in a convenient location close to stores, local schools and new Highway 16. This won't last. This property is sold with both parcel numbers 88218 and 23982. Sold by Pmi Realty Llc.